Sebi has lined up a slew of relaxations for new-age ventures in sectors like e-commerce, data analytics and bio-technology to raise funds and get their shares traded on stock exchanges. 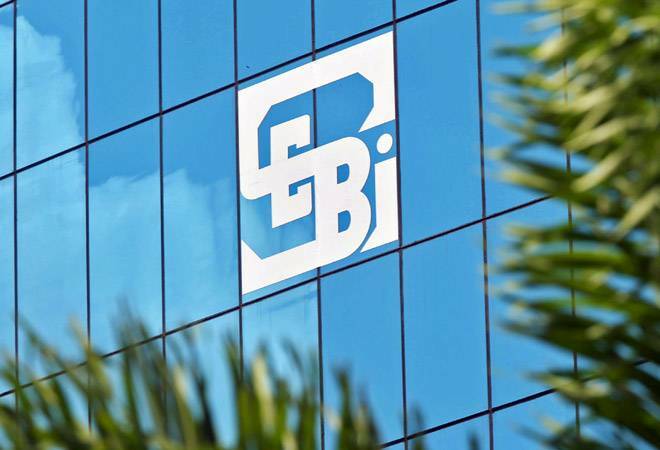 In a major push to kickstart listing of start-ups in India in a big way, capital markets regulator Sebi has lined up a slew of relaxations for new-age ventures in sectors like e-commerce, data analytics and bio-technology to raise funds and get their shares traded on stock exchanges. The proposed changes, likely to be discussed at Sebi's board meeting this week, also include renaming the 'Institutional Trading Platform' that the regulator had created for such listings as 'Innovators Growth Platform'. The relaxation in the norms follows tepid market interest to the existing platform and demands from various stakeholders to make the norms easier and the platform more accessible in the wake of expanding activities in the Indian start-up space. While there has been a growing interest among the start-ups to get listed, their intention has failed to convert into actual listing in a big way and many of them have cited difficulties in meeting the compliance requirements. To review the start-up platform, the Securities and Exchange Board of India (Sebi) had set up in June this year an expert group that included representatives from the the Indian Software Product Industry Round Table, the Indus Entrepreneurs, the Indian Private Equity and Venture Capital Association, law firms, merchant bankers and stock exchanges. The Group also held extensive consultations with other stakeholders including start-ups, investors, bankers and wealth management firms and subsequently submitted its report to Sebi, which later floated a public consultation paper on the proposed changes. The proposed changes include doing away with the requirement of at least 50 per cent of pre-issue capital being held by qualified institutional investors. It has been proposed that 25 per cent of pre-issue capital for at least two years should be with qualified institutional investors, a family trust with networth of at least Rs 500 crore, well-regulated foreign investors and a new class of 'accredited investors'. The AIs can be an individual with a total gross income of Rs 50 lakh per annum and minimum liquid networth of Rs 5 crore, or any body corporate with a net worth of Rs 25 crore, and they can hold up to 10 per cent stake before listing. Sebi has also agreed to consider further relaxations going further. It has also agreed to do away with a cap of 25 per cent holding for any person, individually or collectively with persons acting in covert, in the company's post-issue capital. The cap is being removed to ensure that investors are able to invest more than 25 per cent in a start-up, thus providing the much-needed boost to such companies. Sebi has also proposed to reduce the minimum application size for share offers to Rs 2 lakh, from Rs 10 lakh earlier, to attract more investors to the new platform. Another key provision that could be dropped involves 75 per cent of the net offer to be allocated to institutional investors and the remaining 25 per cent to non-institutional investors. It has been now recommended that there should be no minimum reservation for any specific category of investors. The requirement to limit allocation to a single institutional investor at 10 per cent is also being dropped. Sebi is also planning to reduce the minimum number of allottees to 50, from 200 under the current regulations. However, Sebi plans to retain the existing provisions for lock-in to lend confidence to the entities investing in such a company. The regulations require minimum six-month lock-in of the entire pre-issue capital of the shareholders, though there are exemptions for shares arising out of ESOPs and shares held by venture capital funds and certain other investor classes. The minimum trading lot will be reduced from Rs 10 lakh to Rs 2 lakh to increase liquidity and make the platform more attractive. Sebi has also proposed to reduce the time period from three years to one year for the company listed on the start-up platform to the main board of the stock exchange, subject to compliance with the exchange requirements. Another key proposal is fixing the minimum offer size at Rs 10 crore. There have also been demands for investors being allowed to have special rights including on convertible instruments and governance, such as board representation and auditor appointments. These demands, along with the issue of differential voting rights, are being examined by a sub-group within Sebi's Primary Market Advisory Committee and the regulator would take a call at an appropriate time, officials said.